We are floored. There are no words that can describe how perfect Sunday was, so we will tell a story in pictures. 8:00am... the positive energy is humming. Volunteers arrive early to help us set up as our friends at Trek drop off 1,000 T-shirts with Chris' smiling face in his favorite color- hi-vis yellow. Kevin Hardman (long time friend and DRI for getting this whole party started) is calm and smiling as we all soak up the calm before the storm. By 9:30am, we run out of T-shirts. The start line is packed with riders of all ages and bike-types, a sight that would make Chris so proud. It was a beautiful. 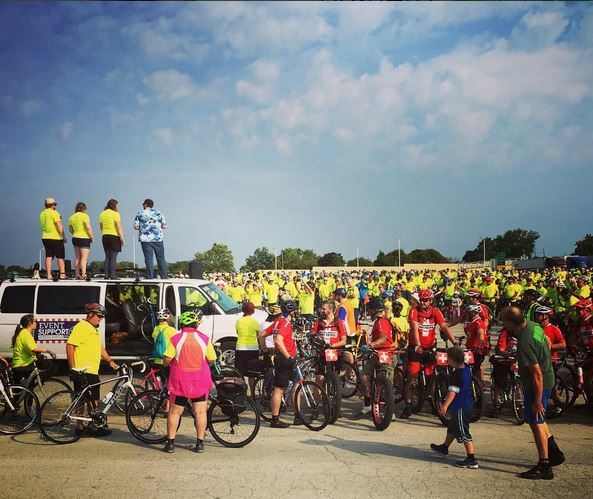 At 9:55am, the Kegel kids climb on top of the Wheel & Sprocket van and share their appreciation for all of the people in front of them, and reiterate how amazing it is to grow up with a dad like Chris Kegel. The ride goes off without a hitch along the Hank Aaron State Trail heading east to Lake Shore State Park. 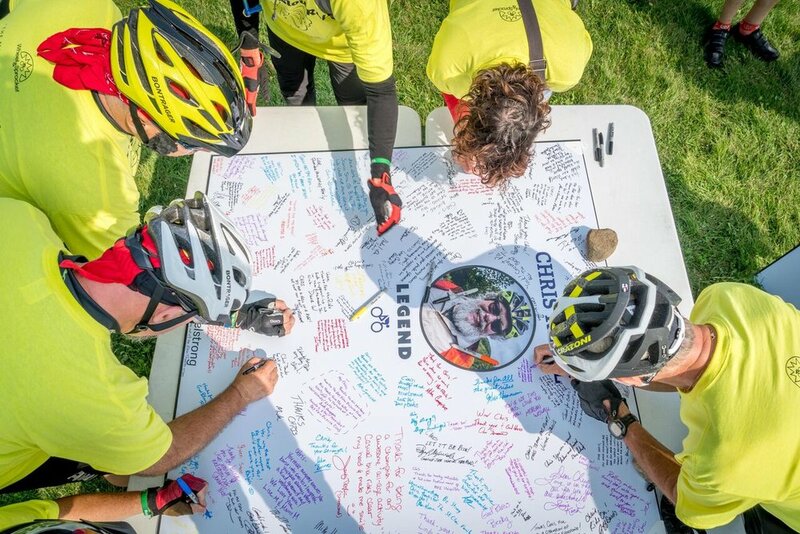 With well over 1,000 riders and the average bike spanning 5.5 feet, we estimate that our ride takes up a good mile of cyclists sharing their love for Chris. As we rolled slow, the conversation flows and the good juju reverberates around the city. It was wonderful. The ride, the weather, the love of all of these people on bikes. 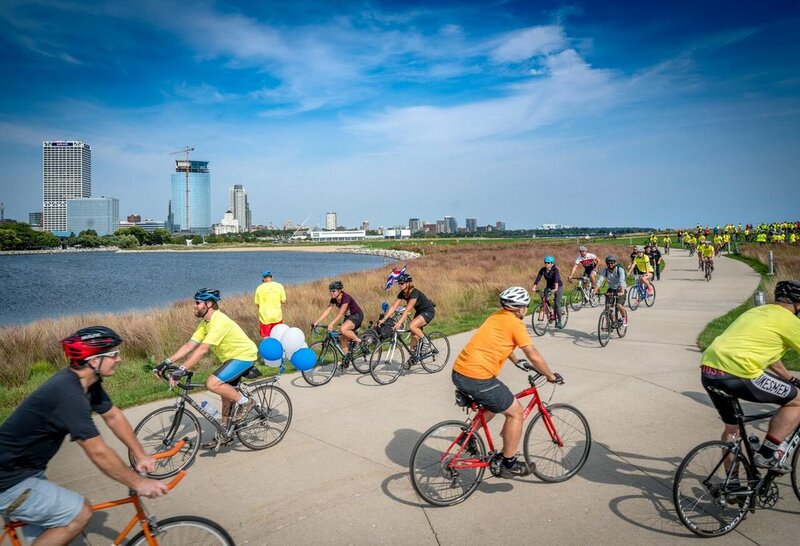 Our favorite stories include people who haven't been on bikes in years who decided today was a day to ride, people who have never experienced this trail before enjoying the beauty of Milwaukee from a new perspective, and people enjoying the magic of what a bike ride can do to lift your spirit. 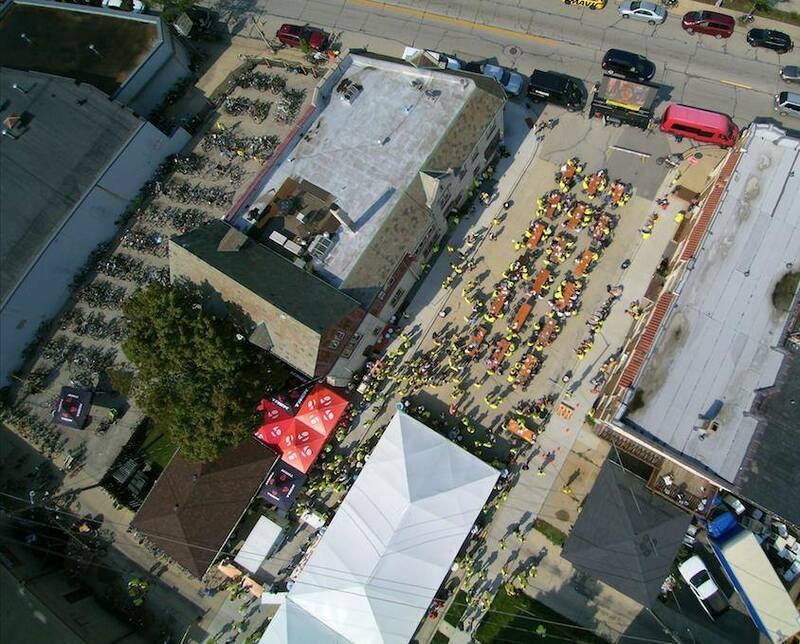 We cannot express our gratitude to Trek Bicycles for putting on this party. A lot of people may know that Wheel & Sprocket and Trek have a great business relationship, but maybe do not know how deep the Kegel and Burke family relationship runs. The first day Chris was out of surgery, John Burke along with the key people at Trek are by his side. The Tuesday before this Sunday's party, we had a meeting on how to throw the most epic event of his life... and we think we nailed it. 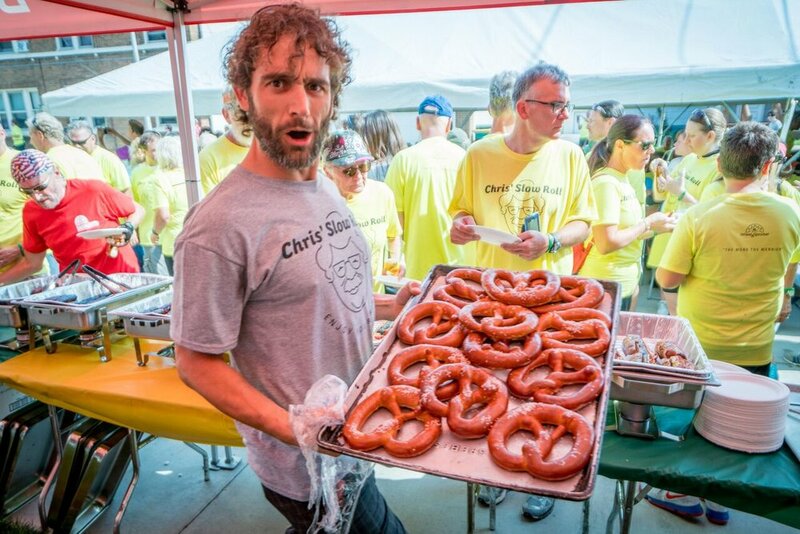 Thank you again EVERYONE for the best day ever: Chris Kegel Day. So much love from Wheel & Sprocket employees, past and present, as we gather around one of the most generous people on the planet, and a legend in the cycling world: Chris Kegel. Each of our lives has been made better by working for, and working with you. HUGE SHOUT OUTS MUST GO TO: John Burke and Trek Bicycle (For donating T-shirts, all of the logistics, employees, & supplies for the after party, and for the all around support), Kevin Hardman (Lead Planner for the Whole Shebang), The Wisconsin Bike Fed- specifically Dave Schlabowske and Wendy Hanisch (Photos and volunteer coordination), Tom Schuler and Team Sports (Course marking and Marshaling), Wisconsin State Fair Park (Parking and logistics), Dean Seher and Clearchannel Outdoor (Digital Billboards to get the word out) and all of our friends who came out to make this day so incredibly memorable in such a short period of time.